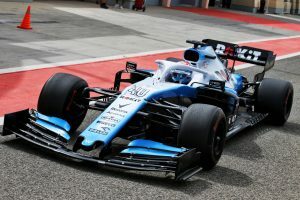 Nicholas Latifi made his first Formula 1 testing appearance of 2019 in Bahrain on Wednesday as part of his duties as ROKiT Williams Racing reserve driver. The Canadian joined the British team ahead of the 2019 season to gain further F1 experience in rookie tests and free practice sessions at selected Grands Prix. He arrived at the Sakhir International Circuit buoyed by a race-winning start to his FIA Formula 2 Championship campaign last weekend. Driving ROKiT Williams Racing’s FW42 for the first time in Bahrain, Nicholas completed 100 laps (541km), setting a best time of 1:32.198. 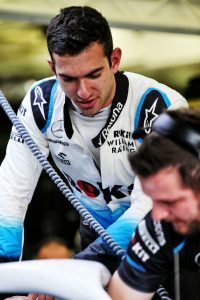 The 23-year-old’s run plan included carrying out aerodynamic tests prior to a series of stints on various tyres and fuel loads, as he assisted the team with its development programme. “For me everything went very well,” Nicholas said. “I had done a lot of preparation in the simulator so I felt well prepared and I knew what to expect from the car. I was also in the debriefs during the GP weekend, listening to the race drivers, so all of that helped. With ROKiT Williams Racing looking to bounce back after a tough start to the current F1 season, and in-season testing so limited, the team has placed a greater focus on Nicholas’s role in accelerating its on-track progress. “I was definitely trying to help them as much as I could doing aero runs,” Nicholas explained. “I’m sure no driver enjoys doing them but it is part of the job! But then when we did put the car in its proper state, that’s the more enjoyable part. Nicholas will now return to the UK for a full debrief and evaluation with ROKiT Williams Racing. “I have a simulator day on Monday, and a large part of that will be correlation from the test, helping the guys to see how we can improve that,” he said.